Welcome to the Critical Care Fellowship program at the University of Missouri-Kansas City School of Medicine. I hope you will find the information on this Web site helpful as you seek the fellowship program that best meets your needs. If you are serious about learning Critical Care Medicine and providing the best care for your patients, I invite you to examine our program and consider participating in our application process. Every year we will select one fellow into our program to work with patients in various settings ranging from a highly-respected tertiary care referral center for patients in a six-state region with an international reputation for state-of-the-art care to a busy inner-city general hospital treating a diverse population. 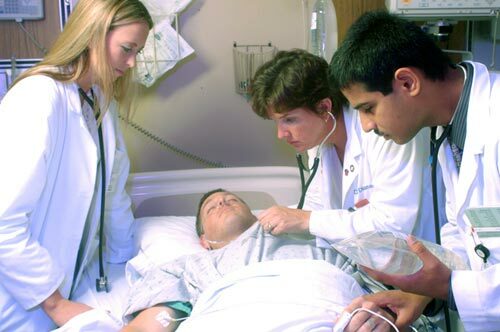 Our program provides a clinical and scholarly approach to training in Critical Care Medicine. Thank you for taking the time to visit us. We look forward to hearing from you.